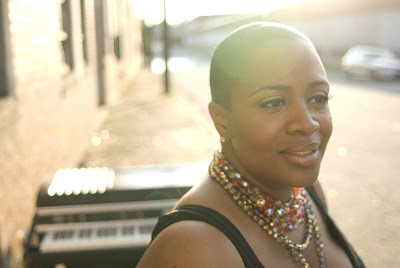 Brother Jesse Blog: One-on-one with singer Avery Sunshine: "I’m Walking in My Calling"
One-on-one with singer Avery Sunshine: "I’m Walking in My Calling"
Brother Jesse (BJ): Tell me about life- growing up, where you came from and your family. And I want to know, in particular, when was that moment that you just fell in love with music. Avery Sunshine (AS): Oooooo…Oh my god…I don’t know if I remember that moment. I will say this, I remember being at Holy Ghost Catholic School and I was ,maybe, in first or second grade and I remember seeing my good friend Talaya, who is deceased now, God rest her soul. She was playing on stage, cause you know at every school, the stage is in the cafeteria right? She’s on the stage in the cafeteria and I was eating and we were doing some Christmas something and she was playing ‘Silent Night’ on the piano and I looked at my mom and was like “I need to play the piano. I mean, just like that. I remember it so vividly. I really had no idea what I was going to do with it but I remember thinking I want to do what she’s doing. So, my mom was like “Now look. 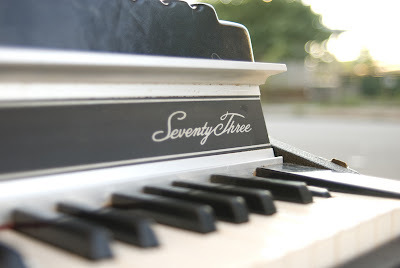 If I buy a piano, you are going to play. We are not going to have it as a piece of furniture. You are going to play it.” And she got the piano and she made sure I played. Didn’t miss a piano lesson. I was faking sickness and everything. I was like “Oh, I can’t go today and she would say “Oh no, you going today. With a sling, your head in a cast, you are still gonna play today.” I had three different piano teachers….she was serious. So, I remember that moment. Saying that I wanted to play and clearly it was God. If we listen to the God in us, God will tell us exactly what we’re supposed to do God doesn’t leave us out there, not to wander. God will make it very clear. Now, whether you listen and whether you go down that path is a different story. AS: Are you kidding me? That is amazing. BJ: I said “Why haven’t I heard this sister before?” So, I read that you are a self-proclaimed therapist and I think I understand it because your music is therapy but I want you to break it down. I want to hear from you, why are you a self-proclaimed therapist? AS: The feeling I get when I’ve been in therapy, I believe that’s the feeling other people get when they listen and when they come to the shows and that’s how I want them to feel. I feel refreshed after I’ve been in therapy. I feel better. That’s why I call it self-proclaimed. Nobody has told me this but I just say that. I want to help people feel better by telling them, you know, everything ain’t perfect all the time but we’re in it together. It ain’t perfect but it’s perfectly imperfect. It’s not that bad. It’s going to be okay. You might be foreclosing on your house but guess what - you ain’t dead. You can live somewhere else. AS: You know what I mean. Seeing the bright side of everything all the time. Because if you don’t, the stuff of the world will beat you down and the dreams that you have will be non-existent and I just don’t believe that that is what God has intended us to do. We live in the world and stuff happens but you deal with it and you move on. I talk about it when I’m doing the song, “I Got Sunshine”. One thing I remember, my pastor said that the very nature of a storm is to be strong but temporary. So, when you’re in a storm and you’re dealing with stuff that lets you know that you’re not going to be in it long. When you’re in it that should be your reality that you won’t be in it much longer. When the bad stuff is happening, you should already see the sunshine. You should already know when you’re in it, that you already have the victory and it’s not going to last that long. I’m already on the other side. I say if we take the stuff that comes to us and we look at it like that, we’ll be alright. We’re going to be fine. You can’t tell me that Martin Luther King did not see the sunshine while he was in the pit of hell. He had to. He had to do that. And it was not just his responsibility, it’s all of ours, on different scales. In our different careers and our different gifts to do the same thing. That’s the God in us. BJ: Looking at and delving deeper into your self-titled album. As I’m listening to it I felt like I was attending church service, a poetry lounge, a jazz joint and a hip hop club all at the same time. I felt like I was back on the yard at Prairie View A & M University, you know, during Homecoming week. It’s just like this big multi facet of events that are going on in your album. What type of work did it take in producing this album and what do you want listeners to walk away with, after playing it in their I-pods or hearing you live in a performance? AS: I want you to feel like you’ve been on a journey. Then, for those who don’t want to go on the journey, I want you to find something on there that you identify with. If it’s one tune. Fine, with the rest. I don’t care but if you identify with one tune, my job has been done on this particular album. My partner, Dana, there’s no Avery Sunshine without Dana Johnson. We did this thing together and we were gunning for eight years and we always ran into that thing because I am a church girl but that’s not all that I am. People would always ask if my album is gospel and I’m like “No, it’s not”. Is it R&B? Well, no. I’m not sure what it is. And Dana would say “D”, he calls me “D’, my name is Denise, and he was like what are we going to do and I was like how about this, why don’t we pray bout it. So, we prayed about it and we said to God that whatever he wanted the people to get from us or from Him through us, then give it to us and we’re going to do it and that’s what we got. We got those songs that go from giving God glory to talking about “Today, I don’t know what’s going on. I’m sick. I wanna blow everybody up today.” You know, from I love my children to I love my man to I’m sorry, whatever it is. And we’re just thankful to God for giving that to us. We hoped that it made sense, you know, like you said, you felt like you were at the club and at the church and we hoped that people would get that. We hope that they get it and that they are not confused. Again, if they don’t like everything on it, we hope that they can identify with one song on there. One song. 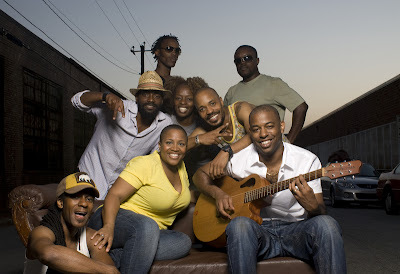 BJ: You are fresh out the block on this first album and I get word that you have been nominated for a bunch of awards, the 2010 SoulTracks Readers' Choice Award, and I’m like, man, its people who put out albums for years and don’t get nominated for hardly anything. I wanted to know, how did that feel? So, I went to the site and I looked at it and I was like “Wow! Really? Maybe they’re making a mistake.” I don’t know. I still don’t know what to say. All I can do is say Thank You God. Thank You God for this journey. Thank You for the journey and thank You that people are getting it. Like I said, if it’s one person that gets it, great. If there are much more than that who get it, great and wow. BJ: I know you use social media like Facebook and Twitter. What has been some of the comments that you’ve been getting from people about your album or about your performances? What have been some of the reactions that have been most touching to you? AS: One person told me that they felt better. I actually have the quote and I have to make sure I memorize that quote. I have it somewhere but a lady sent me a Facebook message and was like, “I didn’t want to go out. I didn’t want to be at wherever it is that I was going to and you came on the stage and you sang and I didn’t want you to get off the stage. I felt better.” And the stuff that I talk about….. …she said she felt like she wasn’t alone and I was like wow. I get a lot of reaction from “The Lord Is Blessing Me” on the album. People talk about, again, feeling better and you know, sometimes I don’t want the responsibility because some days, I don’t feel good but to whom much is given, much is required. You know, I accept it. It did something else to me. My aunt is a bishop in the United Methodist Church and when I was a kid, she used to call me preacher girl and I would run from that. I would tell people I ain’t no preacher. That’s not what I do. Then, about a year ago, people would ask when are you gonna preach. I would say, “I don’t preach”. But, at that moment, when that lady told me that, I said “I do preach. I get it. This is a ministry. So, like I said, sometimes I felt like I didn’t want the responsibility but I accept it. If this is my role, God, I accept it. I‘m not going to put it off. I’m going to do it. BJ: You say on your website that you want to give people permission to get their shine on. Then you asked the questions “Are you getting your shine on?”, “Are you using the gift that God has given you?”, “Are you walking in your calling?” Do you believe, whole heartedly, that you are walking in your calling? Why is it important for all of us to do the same thing? You don’t just go out there and just do stuff and there’s no confirmation. God sends confirmation all the time and so you know. To your second question, I believe we exercise the highest--we allow everybody to see our highest selves, our highest self, when we’re walking in our gift. We are showing the God in us when we exercise our gift. When we are taking drugs and doing crazy stuff, that’s the lowest self. That is the darker self. I understand it’s hard. The industry is hard. Let alone any other career, I’m going to tell you, the industry is hard. The rejection….not knowing, the people…….they love you one day and the next day, hmmmmm, your stuff is not cool to me today. It is important for you to walk in your highest self so that you’re doing what you came here to do and so that people can see God. That is the God in us. That is the realness. That’s what we came here to do. BJ: I love it. So amazing. Well, thank you so much for your time sister and I am so privileged to have the honor of putting this on my blog and spreading it throughout my whole network. AS: You are so wonderful to me and you know I’m about to blow you up, right? Not that you need me to do that, I’m about to blow it up anyway. Brother Jesse is the bomb! Thanks to you and people like you….DJ’s who play our music, especially independents who play our stuff at parties and shows when we can’t get on the radio. We thank you for spreading the word and helping us. We can’t do this without you. We can’t. So, I appreciate you, do you hear me? I absolutely do. BJ: Thank you so much. Amazing interview! Thanks, for posting THIS Bro. Jesse! Avery* Sunshine is truly something special! Amazing interview and phenomenal album!!!! I listened to it from start to finish as well! Hits all the way through! If you don't have a copy of her album you are most definitely missing out on Real music...food for the soul! So glad we hooked this up! 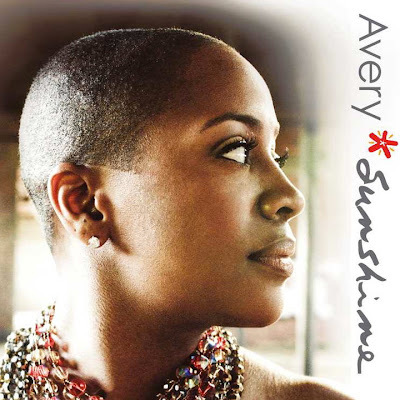 An artist of substance, value, talent with an ability to Move people- Avery*Sunshine is the Truth! Thank you Brother Jesse!